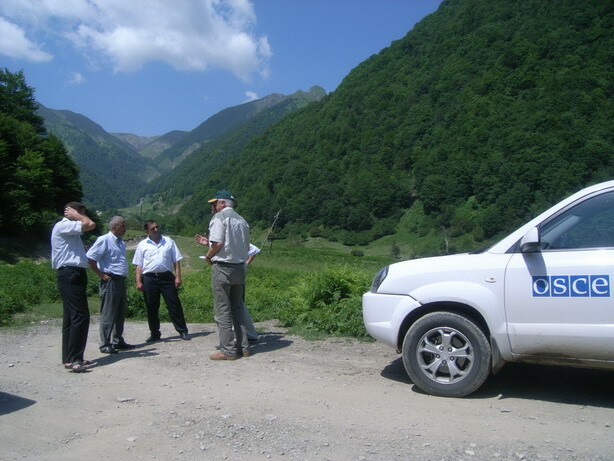 The involvement of the Organization for Security and Cooperation in Europe (OSCE) and the Environment and Security Initiative (ENVSEC) in the field of wildfire management was initiated by the OSCE-led Environmental Assessment Mission to fire-affected territories in and around the Nagorno-Karabakh region in 2006 and the Joint OSCE/UNEP Environmental Assessment Mission to Georgia in 2008. 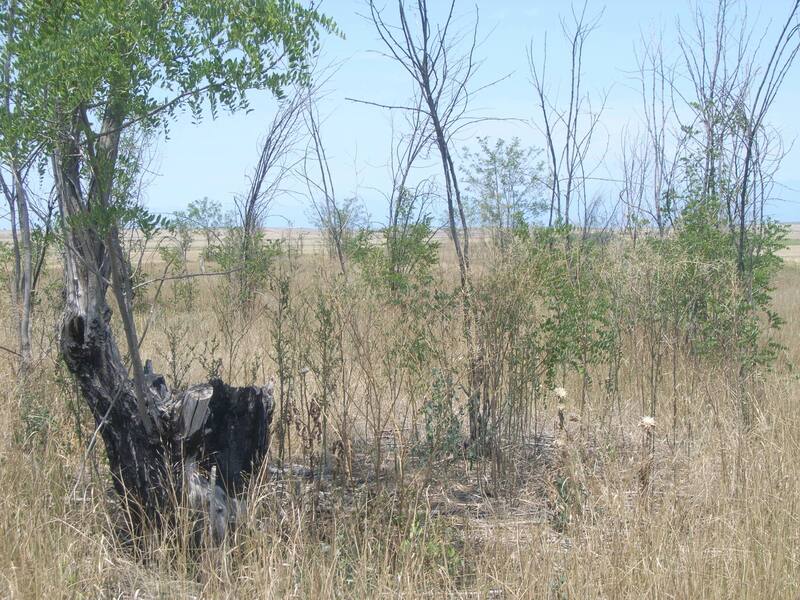 Both assessments showed that the damage caused by wildfires in the South Caucasus can partially be attributed to the absence of effective forest fire management systems. 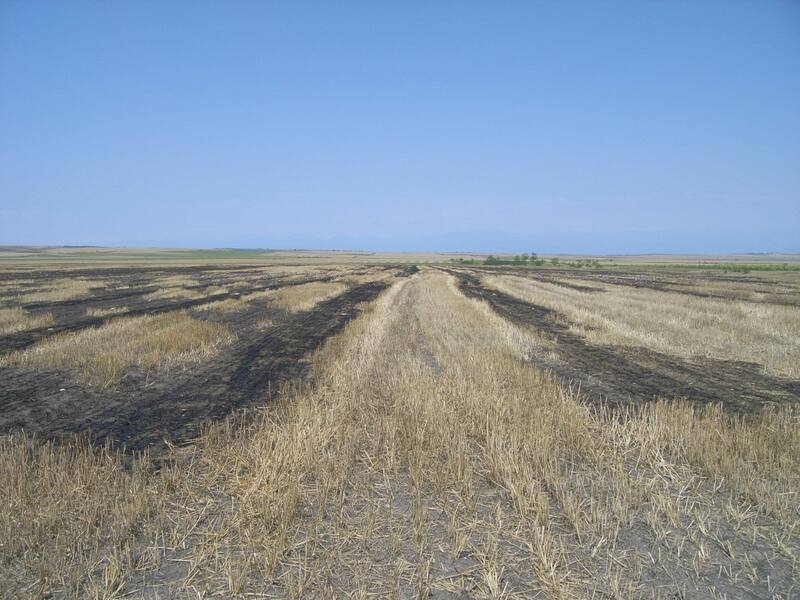 To assist the South Caucasus countries in enhancing their fire management capacities, the OSCE within the framework of the ENVSEC Initiative launched in 2009 the project “Enhancing National Capacities on Fire Management and Wildfire Disaster Risk Reduction in the South Caucasus”. 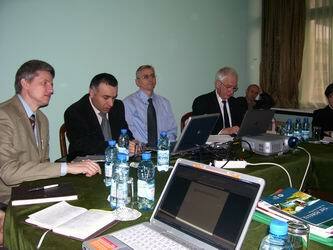 The project is conducted in partnership with the Global Fire Monitoring Center (GFMC) based in Germany. 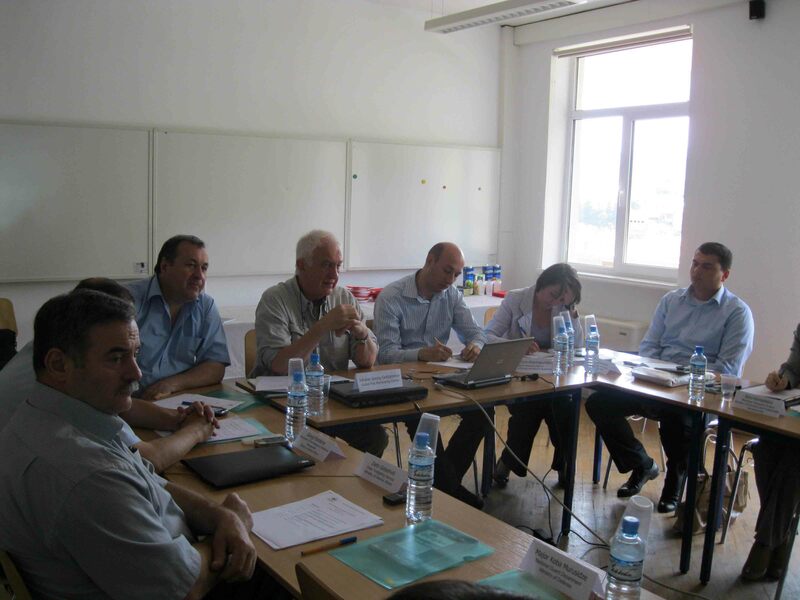 So far, the project has gone through three phases: first phase focused on national and regional trainings within the UNISDR Regional Southeast Europe/Caucasus Wildland Fire Network. 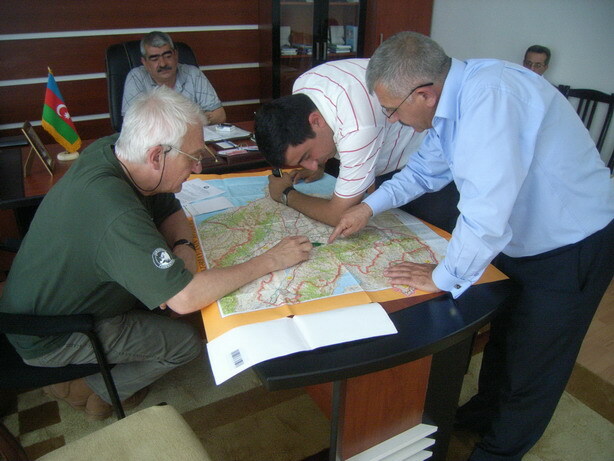 In the second phase, forest fire vulnerability assessments were conducted in all three countries and at regional level a training workshop was held in Antalya, Turkey in 2010, with the participation of 30 representatives from the agencies of the South Caucasus countries responsible for fire management as well as selected Southeastern Europe countries. In the third phase, the project has been focusing on further developing and implementing national fire management policies in the countries of the region, supported by training activities and participation of countries in major international events and networks on wildfire management. 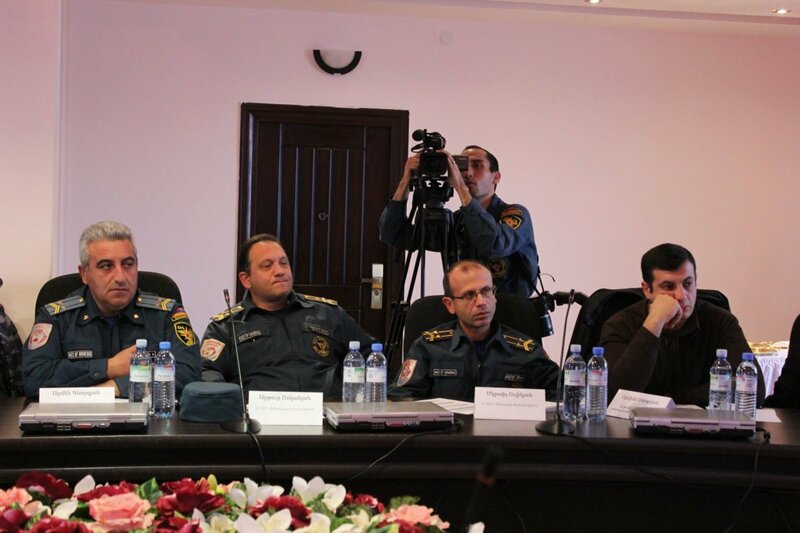 The last activity in the South Caucasus was the OSCE support for the development of a Regional Fire Danger Rating System and organization of regional trainings. 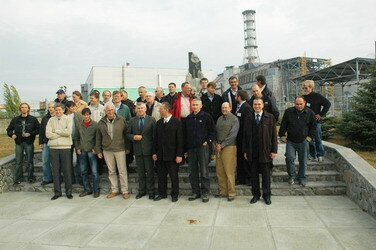 In Eastern Europe the OSCE and GFMC supported the development of policies and fire management capabilities on terrain contaminated by radioactivity in Ukraine and Belarus in the frame of the project “Improving Radiological and Environmental Awareness in Territories affected by the Chernobyl Accident in Belarus and Ukraine with a Focus on Wildfire Management”. With the assistance of the Regional Eastern Europe Fire Monitoring Center (REEFMRC), which was set up by the GFMC with financial support of the Council of Europe in 2013, management procedures, guidelines and training materials have been developed. 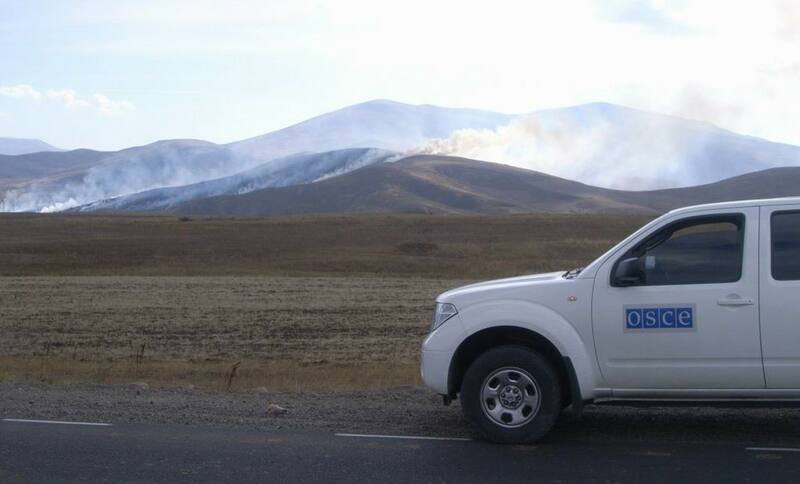 In Central Asia the OSCE through GFMC supported the establishment of the Fire Management Resource Center – Central Asia Region (FMRC-CAR) in Ulaanbaatar, Mongolia. 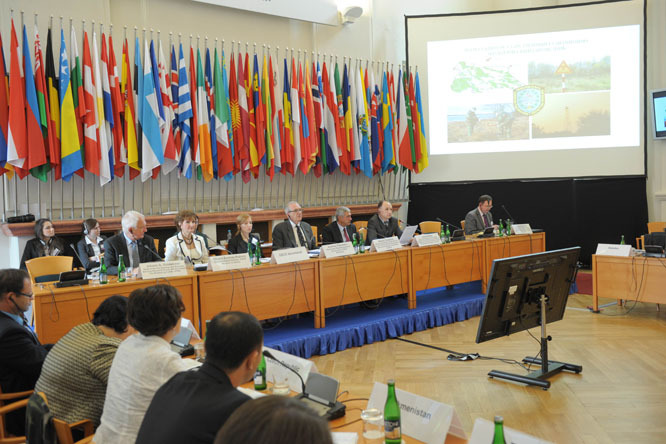 With the 2014 OSCE Ministerial Council Decision 6/14 ”Enhancing Disaster Risk Reduction”, the OSCE Executive Structures and the OSCE Office of Economic and Environmental Activities (OCEEA) were tasked with DRR with emphasis on exchange of knowledge and experience in fire management. 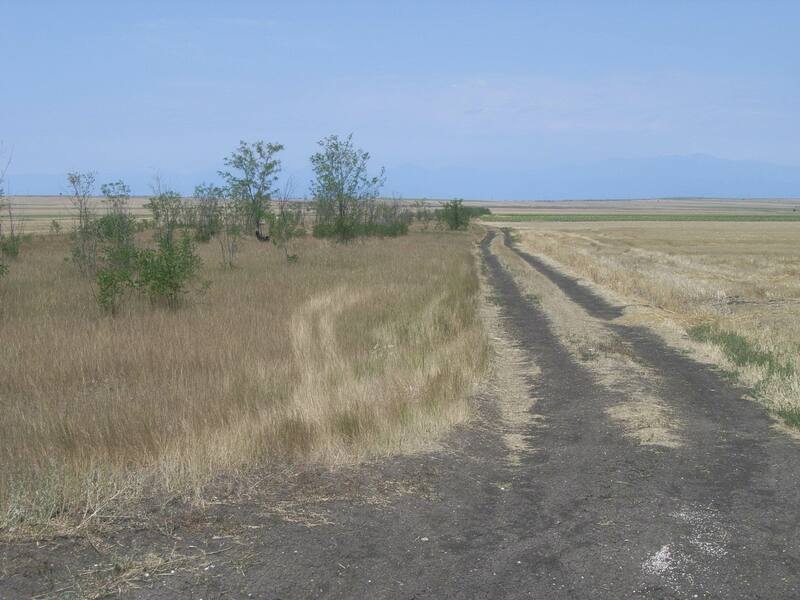 OSCE-led Environmental Assessment Mission to Fire-Affected Areas in Nagorno-Karabakh, in Fulfillment of the UNGA Resolution A/RES/60/285 The Situation in the Occupied Territories of Azerbaijan: Revised Draft Resolution / Azerbaijan (7 September 2006). 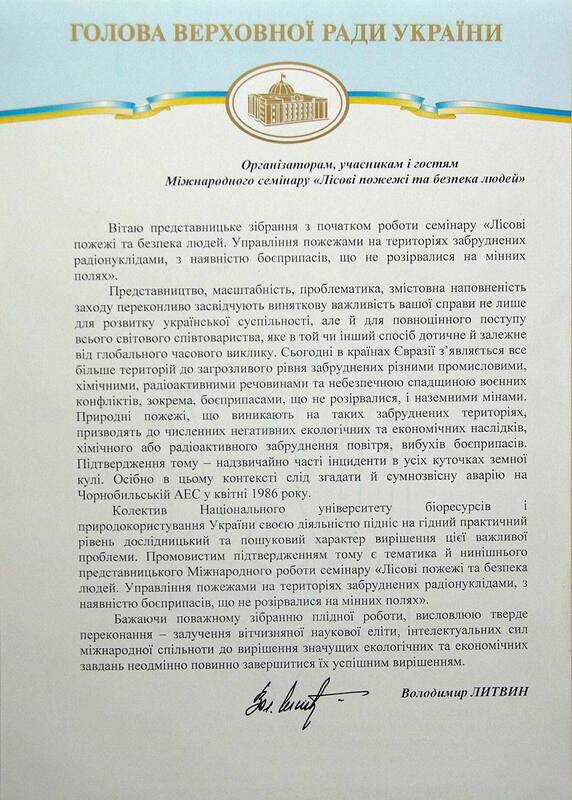 Technical support of the mission by GFMC. 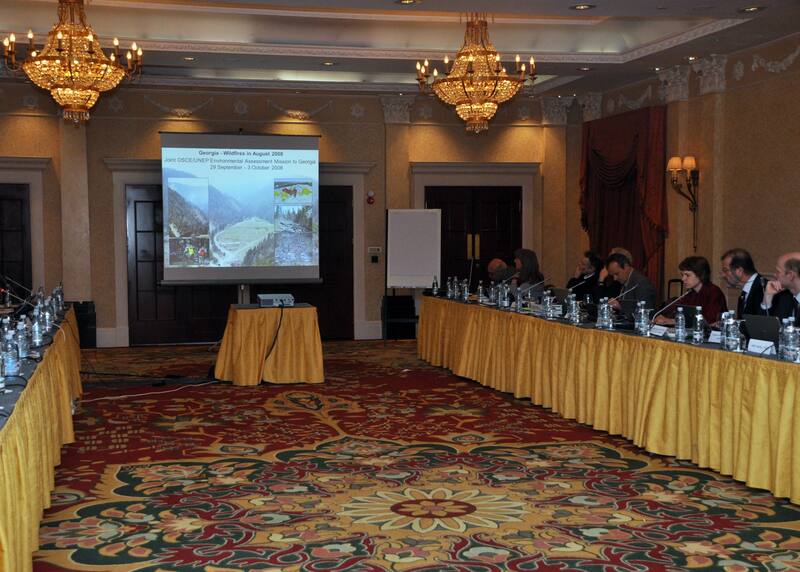 The Regional Wildland Fire Consultation included representatives from Armenia and Georgia. Representatives from Armenia and Azerbaijan attended the Conference and the meeting of the UNISDR Global Wildland Fire Network. 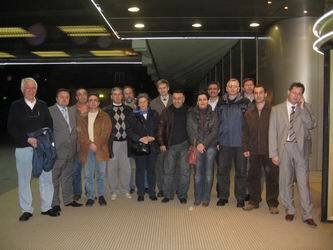 The 2008 meeting of the network was held at the Ministry of Agriculture, Forestry and Water Economy. The main objectives of the meeting were the review of the fire situation in the region in 2007-2008 and the preparation for the 2009 Regional Seminar on Fire Management on Terrain contaminated by Unexploded Ordnance (UXO), Land Mines and Radioactivity. Participating countries from the South Caucasus: Armenia, Azerbaijan and Georgia. Fire Management Training Course  Southern Caucasus Region, conducted in the frame of the ENVSEC / GFMC project Enhancing National Capacity on fire Management and Risk Reduction in the South Caucasus. 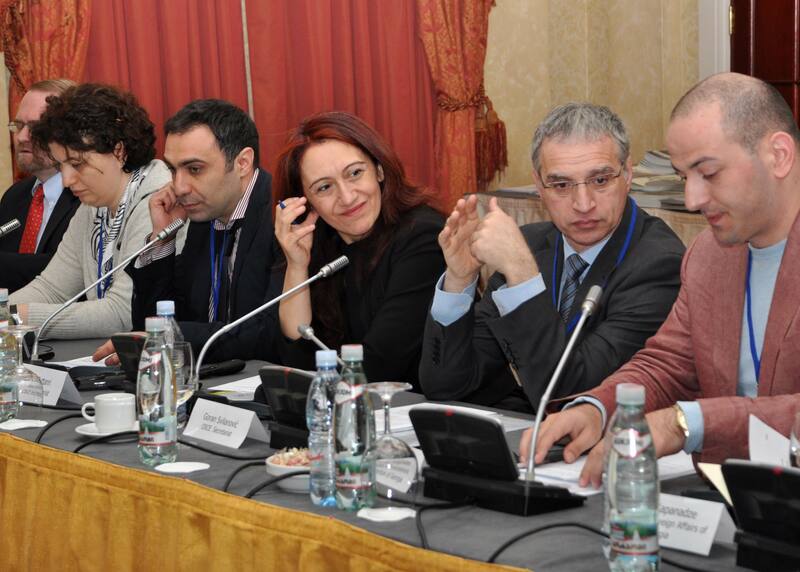 First National Round Table for the Establishment of a National Inter-Agency Fire Management Committee in Georgia, conducted in the frame of the ENVSEC / GFMC project Enhancing National Capacity on Fire Management and Risk Reduction in the South Caucasus. This seminar addressed consequences of wildfires and fire management on contaminated terrain and was organized by the Global Fire Monitoring Center (GFMC) in the frame of the activities of the Council of Europe (CoE) and the joint project Enhancing National Capacity on Fire Management and Risk Reduction in the South Caucasus (Environment and Security Initiative [ENVSEC]), the UNISDR Regional Southeast Europe / Caucasus and Central Asia Wildland Fire Networks and the UNECE / FAO Team of Specialists on Forest Fire. 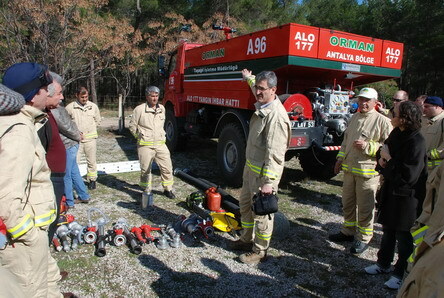 This first regional Advanced Seminar in Wildland Fire Management was conducted by the General Directorate of Forestry (Orman Genel Müdürlügü, Ankara) in cooperation with and co-sponsored by Environment and Security Initiative (ENVSEC), the Global Fire Monitoring Center (GFMC) / United Nations University (UNU), Faculty of Forestry, Karadeniz Teknik Üniversitesi, (Trabzon, Turkey), the UNISDR Regional Southeast Europe / Caucasus Wildland Fire Network and the UNECE / FAO Team of Specialists on Forest Fire. 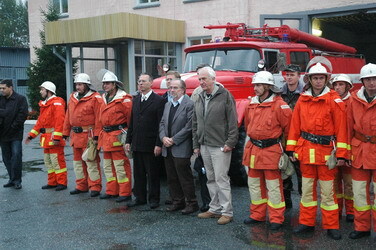 The Second Fire Management Training Course  Southern Caucasus Region was conducted in the frame of the ENVSEC / GFMC project Phase Two – Enhancing National Capacity on Fire Management and Wildfire Disaster Risk Reduction in the South Caucasus and included a workshop for representatives of local communities addressing Community Participation in Fire Management. The second National Round Table on Fire Management in preparation of a National Fire Management Policy for Georgia, was conducted in the frame of the ENVSEC / GFMC project Phase Two – Enhancing National Capacity on Fire Management and Wildfire Disaster Risk Reduction in the South Caucasus. The Second National Round Table on Fire Management included participants from the Ministry of Environment (Forest Department, Protected Areas Department), Ministry of Internal Affairs (Emergency Department, Fire Department) and NGOs (WWF, IUCN), facilitated by the Aarhus Center / ENVSEC. 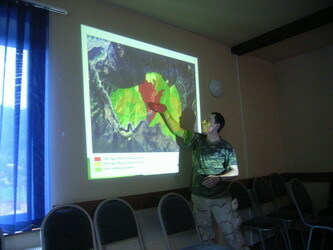 A wildland fire field assessment and the first National Round Table on Fire Management in preparation of a National Fire Management Policy for Armenia was conducted in the frame of the ENVSEC / GFMC project Phase Two – Enhancing National Capacity on Fire Management and Wildfire Disaster Risk Reduction in the South Caucasus. The third National Round Table on Fire Management in preparation of a National Fire Management Policy for Georgia was held in the frame of the ENVSEC / GFMC project Phase Two – Enhancing National Capacity on Fire Management and Wildfire Disaster Risk Reduction in the South Caucasus. 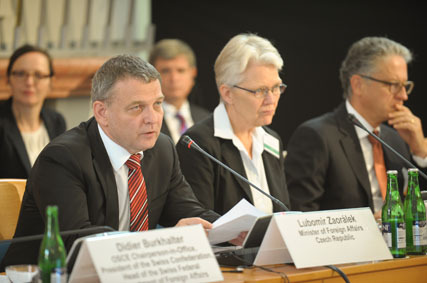 At the OSCE) Workshop on Confidence Building Measures the GFMC presented the cooperative work in the South Caucasus, South Eastern Europe and Eastern Europe on behalf of OSCE through the Environment and Security Initiative (ENVSEC). 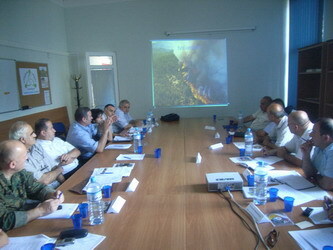 The Wildland Fire Assessment Mission and First National Round Table for developing a National Fire Management Policy for Azerbaijan were conducted in the frame of Phase II of the Environment and Security Initiative (ENVSEC) Enhancing National Capacity on Fire Management and Wildfire Disaster Risk Reduction in the South Caucasus though GFMC and the Organization for Security and Co-operation in Europe (OSCE). Fire management training course, national forest fire exercise and the Second National Conference & Round Table for developing a National Fire Management Policy for Armenia were conducted in the frame of Phase II of the Environment and Security Initiative (ENVSEC) Enhancing National Capacity on Fire Management and Wildfire Disaster Risk Reduction in the South Caucasus through GFMC and the Organization for Security and Co-operation in Europe (OSCE). 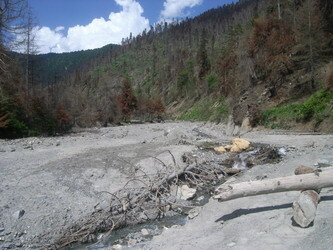 Regional Meeting of the ENVSEC Initiative in the South Caucasus, with GFMC / OSCE contribution on Phase III of the ENVSEC Initiative Enhancing National Capacity on Fire Management and Wildfire Disaster Risk Reduction in the South Caucasus through GFMC and the Organization for Security and Co-operation in Europe (OSCE). 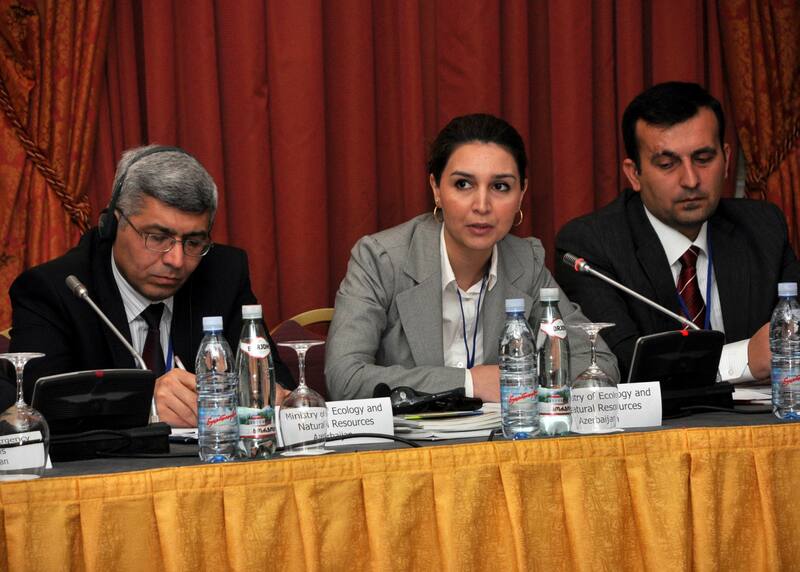 Delegations of the South Caucasus countries Armenia, Azerbaijan and Georgia Attended the regional workshop, which was addressing the OSCE / ENVSEC Project on Forest Fire Management in the South Caucasus. Fourth National Round Table on Fire Management in preparation of a National Fire Management Policy for Georgia, conducted in the frame of the ENVSEC / GFMC project Phase Two – Enhancing National Capacity on Fire Management and Wildfire Disaster Risk Reduction in the South Caucasus. 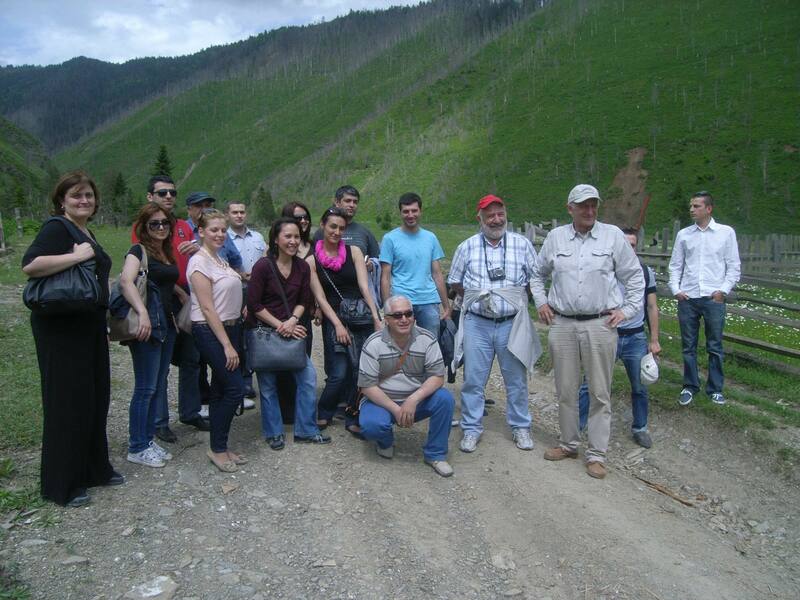 The workshop Ecosystem-based Disaster Risk Reduction for Resilient and Sustainable Development for the South Caucasus Region (Armenia, Azerbaijan, Georgia) included a field excursion addressing Progress in Capacity Building in Fire Management at Community Level in Borjomi-Kharagauli National Park. 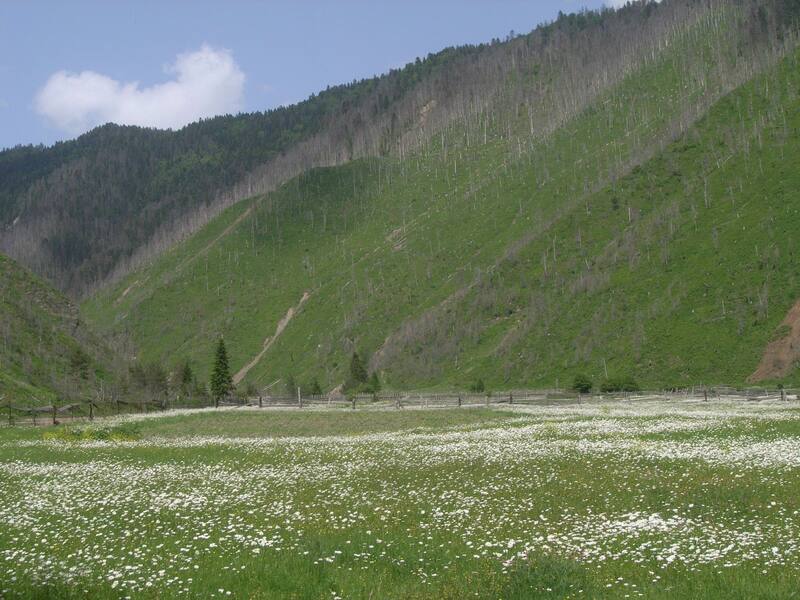 Revisit of the forest site near Daba village, Borjomi, affected by wildfire in 2008. The Organization for Security and Co-operation in Europe (OSCE) Economic and Environmental Activities (OCEEA) Workshop International Response to Major Natural and Man-made Disasters: The Role of the OSCE included a GFMC contribution Enhancing National and Regional Capacities on Fire Management and Wildfire Disaster Risk Reduction. Fire management training course, national forest fire exercise and Second National Round Table on Fire Management, for developing a National Fire Management Policy for Azerbaijan, a contribution of Phase III of the Environment and Security Initiative (ENVSEC) Enhancing National Capacity on Fire Management and Wildfire Disaster Risk Reduction in the South Caucasus through GFMC and the Organization for Security and Co-operation in Europe (OSCE), with participation of members of the UNECE/FAO team of Specialists on Forest Fire. 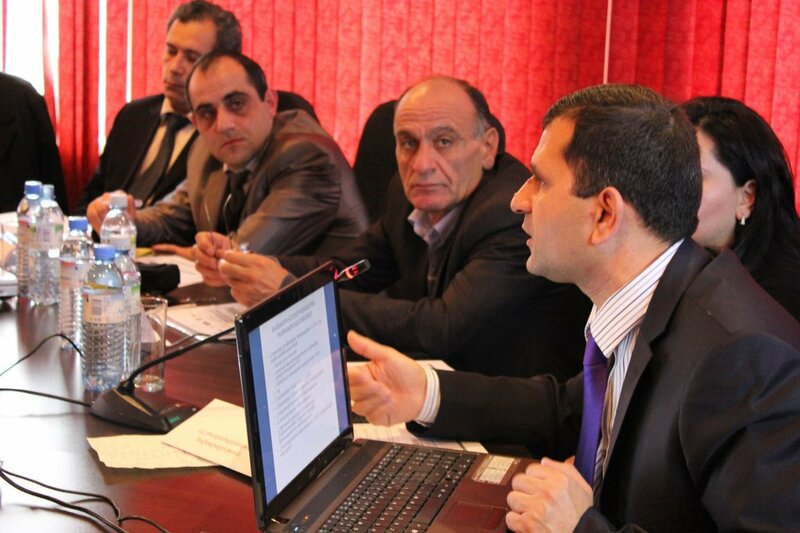 The Second National Round Table for developing a National Fire Management Policy for Armenia, was a contribution of Phase III of the Environment and Security Initiative (ENVSEC) Enhancing National Capacity on Fire Management and Wildfire Disaster Risk Reduction in the South Caucasus through GFMC and the Organization for Security and Co-operation in Europe (OSCE), in cooperation with the UNECE/FAO Team of Specialists on Forest Fire. Round Table participants included representatives of all agencies and civil society stakeholders concerned. National Training for Trainers in Fire Management and Third National Round Table for developing a National Fire Management Policy for Armenia, a contribution of Phase III of the Environment and Security Initiative (ENVSEC) Enhancing National Capacity on Fire Management and Wildfire Disaster Risk Reduction in the South Caucasus through GFMC and the Organization for Security and Co-operation in Europe (OSCE). 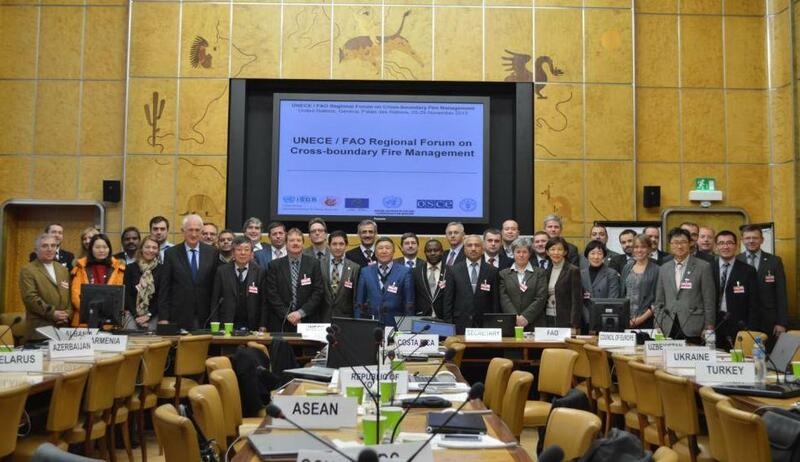 UNECE/FAO Regional Forum on Cross-boundary Fire Management, organized by the UNECE/FAO Team of Specialists on Forest Fire through its Coordinator  the Global Fire Monitoring Center (GFMC), Germany, and supported by the Council of Europe and the Organization for Security and Cooperation in Europe (OSCE); with participation of Armenia, Azerbaijan and Georgia. 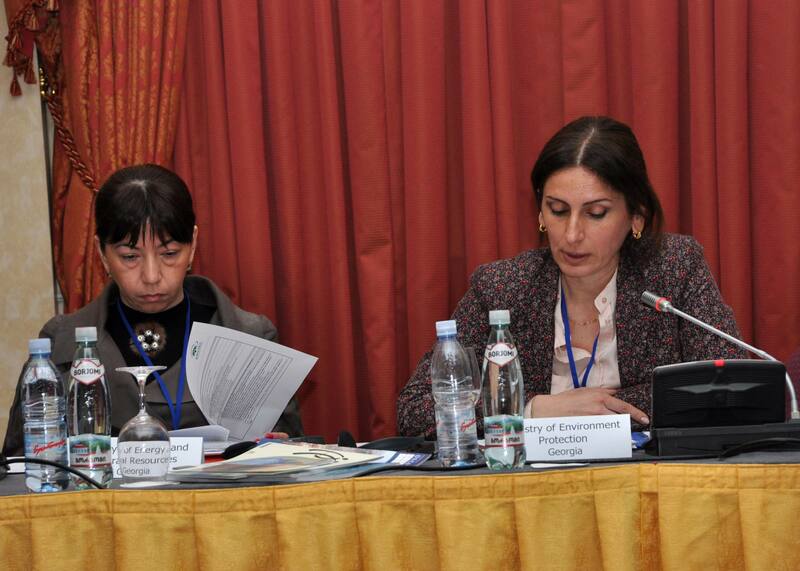 Presentation of the OSCE-ENVSEC Project “Enhancing National Capacities on Fire Management and Wildfire Disaster Risk Reduction in the South Caucasus” in Panel III “Improving environmental security: How can we reduce natural disaster risks? Lessons learned”. GFMC-GIZ Georgia Mission Integrated Fire Management I in the frame of the GIZ Programme “Sustainable Management of Biodiversity, South Caucasus” and in cooperation with the ENVSEC / GFMC project Enhancing National Capacity on Fire Management and Wildfire Disaster Risk Reduction in the South Caucasus; Dedoplistskaro Municipality and Tbilisi, Georgia. 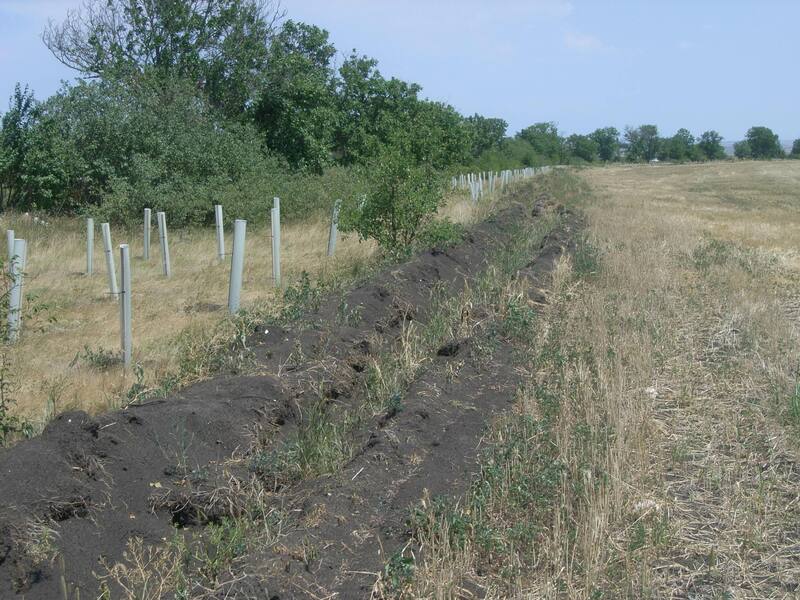 Protection of rehabilitated windbreaks by a ploughed firebreak. GFMC-GIZ Georgia Mission Integrated Fire Management II in the frame of the GIZ Programme “Sustainable Management of Biodiversity, South Caucasus” and in cooperation with the ENVSEC / GFMC project Enhancing National Capacity on Fire Management and Wildfire Disaster Risk Reduction in the South Caucasus; Dedoplistskaro Municipality and Tbilisi, Georgia. Concluding meeting of the 22nd OSCE Economic and Environmental Forum “Responding to Environmental Challenges with a View to Promoting Cooperation and Security in the OSCE Area”, with GMFC contributions to Session IV “A co-operative response to environmental challenges: OSCE experience and lessons learnt for the future” (with GFMC presentation “OSCE experiences in enhancing national capacities in fire management and wildfire disaster risk reduction”); and to the panel debate Session VII “The Role of the OSCE in responding to environmental challenges”; Prague, Czech Republic, 9-12 September 2014. 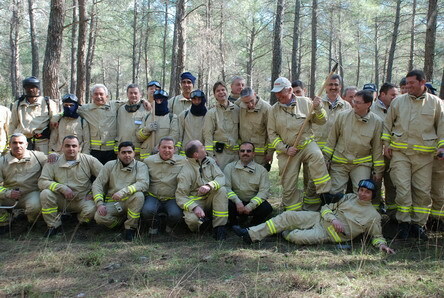 The course is held in the frame of the OSCE/ENVSEC project Enhancing National Capacity on Fire Management and Wildfire Disaster Risk Reduction in the South Caucasus; Fire Management Training Center, Antalya, Turkey, 15-17 October 2014. Forest fire exercise with heliborne hotshot crew, demonstration of hand tools and group photos of the firefighter trainers and resource persons from Albania, Armenia, Azerbaijan, Bosnia and Herzegovina, Georgia, Kosovo, FYR of Macedonia, Montenegro, Serbia, Turkey, Ukraine, United States of America & GFMC / OSCE staff. Photos: Kadir A. Coskuner. 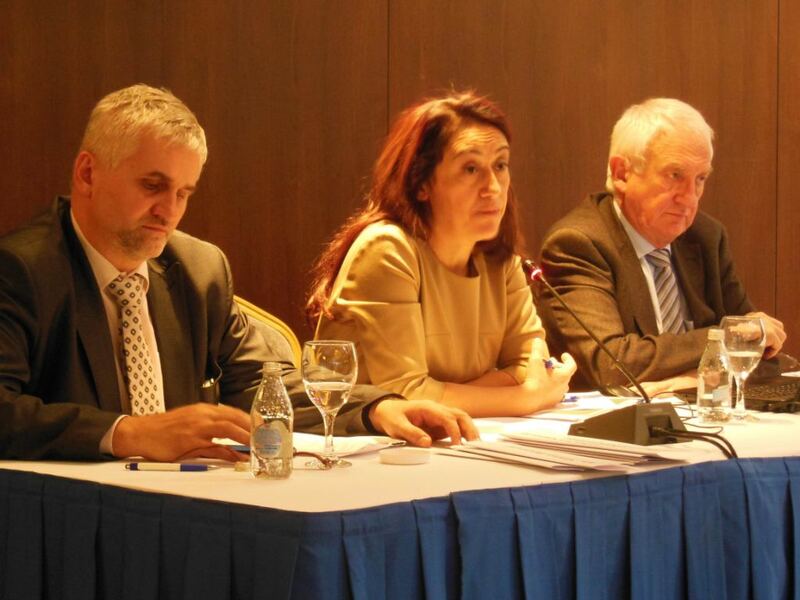 Environment and Security (ENVSEC) Initiative Partners Meeting, with OSCE/ENVSEC/GFMC project report Enhancing National Capacity on Fire Management and Wildfire Disaster Risk Reduction in the South Caucasus; Belgrade, Serbia. 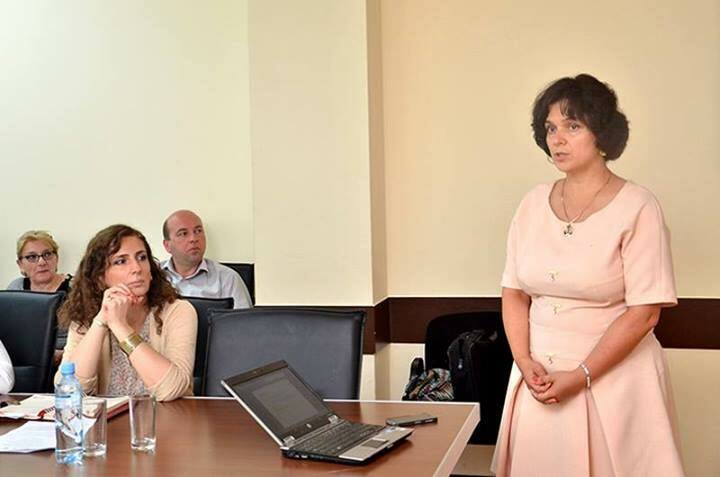 Meeting with GIZ Programme “Sustainable Management of Biodiversity, South Caucasus” and in cooperation with the ENVSEC / GFMC project Enhancing National Capacity on Fire Management and Wildfire Disaster Risk Reduction in the South Caucasus; Tbilisi, Georgia, 7 June 2015. 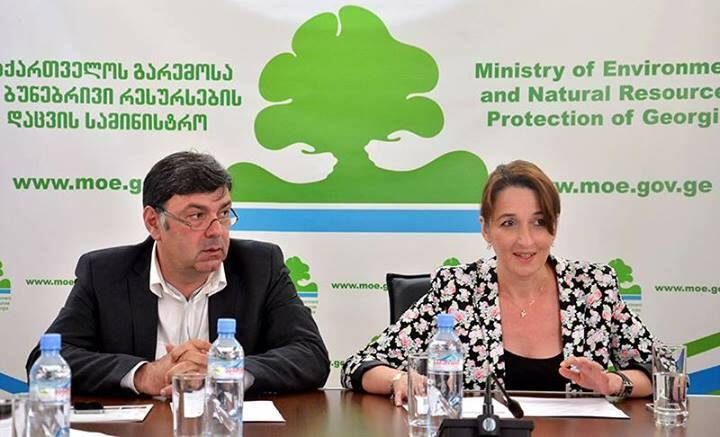 Meeting with the Ministry for Environment, Forestry Agency, on theNational Fire Management Policy for Georgia and the implementation plan, an activity of the ENVSEC / GFMC project Enhancing National Capacity on Fire Management and Wildfire Disaster Risk Reduction in the South Caucasus; Tbilisi, Georgia. 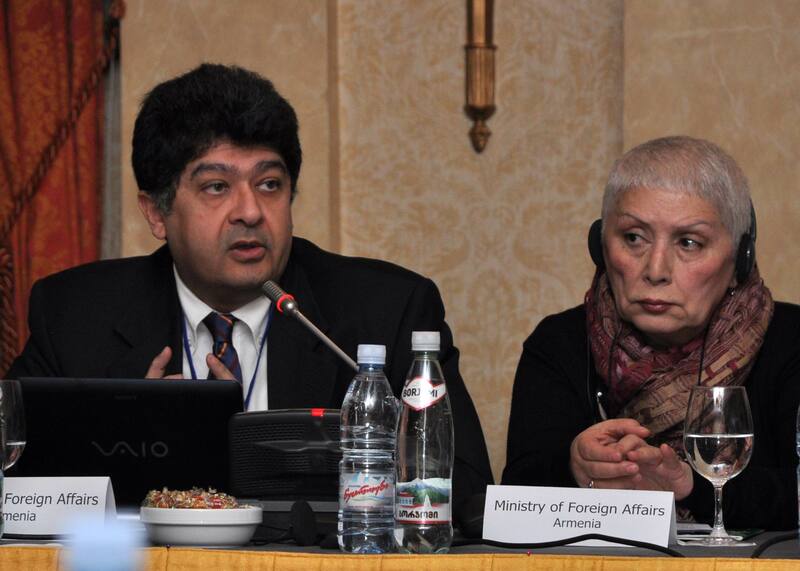 The 2015 Regional Meeting of the ENVSEC Initiative in the South Caucasus included a report of the ENVSEC/OSCE/GFMC fire management project; Tbilisi, Georgia, 8-9 June 2015. On 21 September 2015 the FMRC-CAR was officially opened – financed by the OSCE through support from the Government of Switzerland. 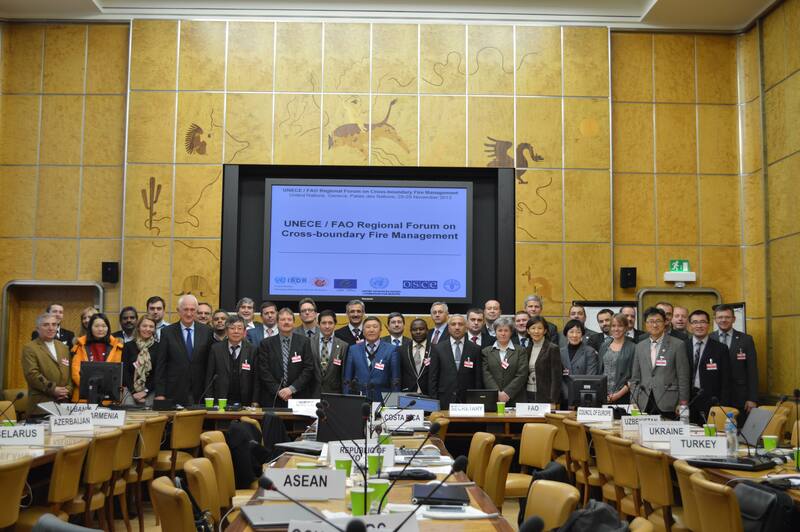 The 6th International Wildland Fire Conference was held with participation of member states of the UNISDR Regional SE Europe / Caucasus Wildland Fire Network; Pyeonchang, Republic of Korea, 12-16 October 2015. On the occasion of the closing of the ENVSEC project Addressing the Risks of Forest Fires in SEE the workshop reviewed the regional report on forest fires in the SEE region by the Regional Fire Monitoring Center (RFMC). 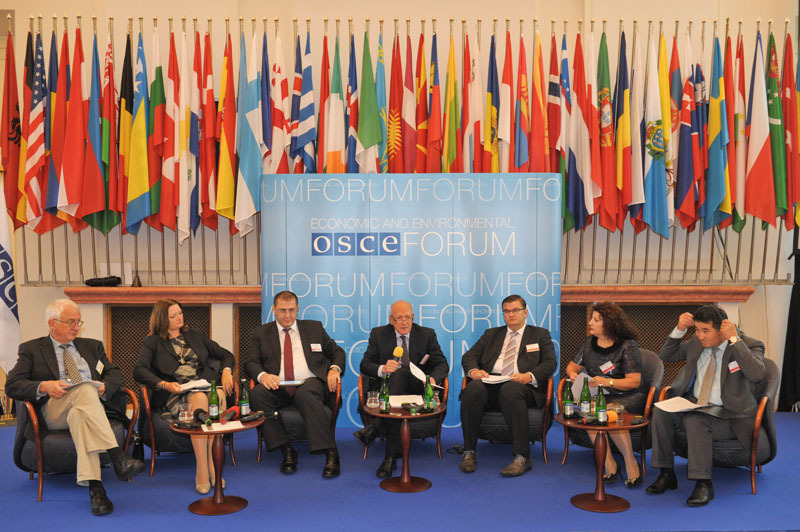 Participating countries: Albania, Bosnia and Herzegovina, Kosovo, Macedonia, Montenegro, Serbia in Budapest, Hungary; Budapest, Hungary, 29 October 2015. 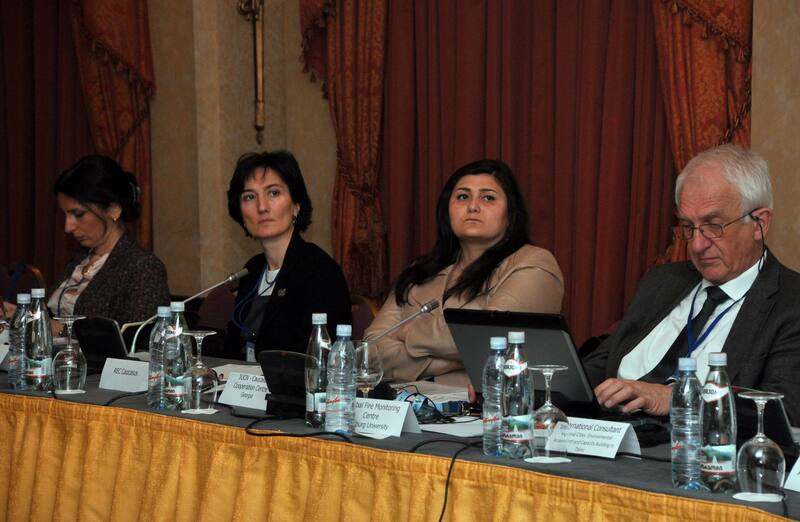 The workshop Fire Danger Rating System for the South Caucasus was held in the frame and implementation of the ENVSEC / GFMC project Enhancing National Capacity on Fire Management and Wildfire Disaster Risk Reduction in the South Caucasus; National Environmental Agency, Tbilisi, Georgia, 29-30 October 2015. 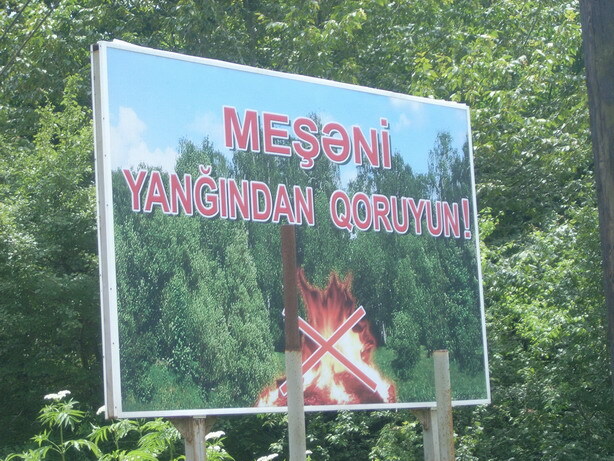 The First International Fire Management Week in Iran was organized in Mazandaran, Kelarabad, 9-12 May 2016, hosted by the Forest, Rangeland and Watershed Management Organization (FRWO). The week included (a) a National Round Table on Fire Management and (b) the introduction of the EuroFire Competency Standards and Training Materials in Persian language. 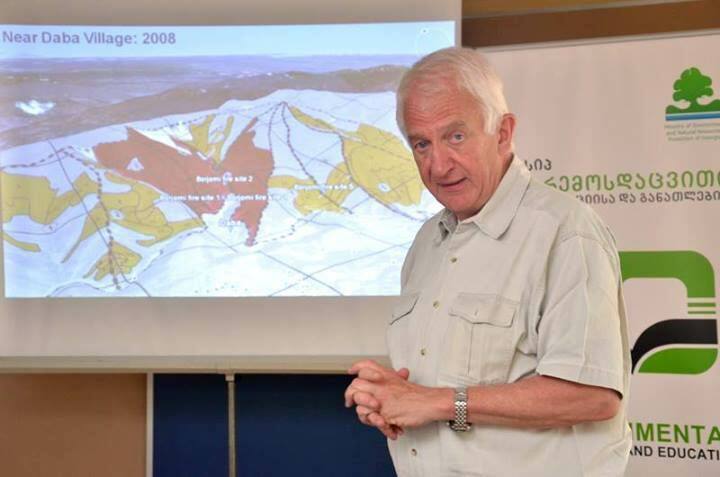 The Fire Management Week was conducted by the Global Fire Monitoring Center (GFMC), the Regional Central Asia Fire Management Resource Center (RCAFMRC) and the Regional Fire Monitoring Center (RFMC), Secretariat of the UNISDR Regional South East Europe / Caucasus Wildland Fire Network. The second workshop Fire Danger Rating System for the South Caucasus was held in the frame and implementation of the ENVSEC / GFMC project Enhancing National Capacity on Fire Management and Wildfire Disaster Risk Reduction in the South Caucasus. 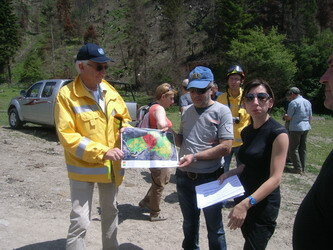 Following the initial workshop in Tbilisi in 2015 (see above) three days of technical workshops provided the background on fire danger rating systems, Canadian Fire Weather Index, and to train users to use the fire information system, as well as the Canadian fire information toolkit. This toolkit was designed to work with GIS software, calculates the Fire Weather Index system from a database, and creates raster output files to be placed in a map. Training in GIS and database software and the Fire Weather Index system was also included. 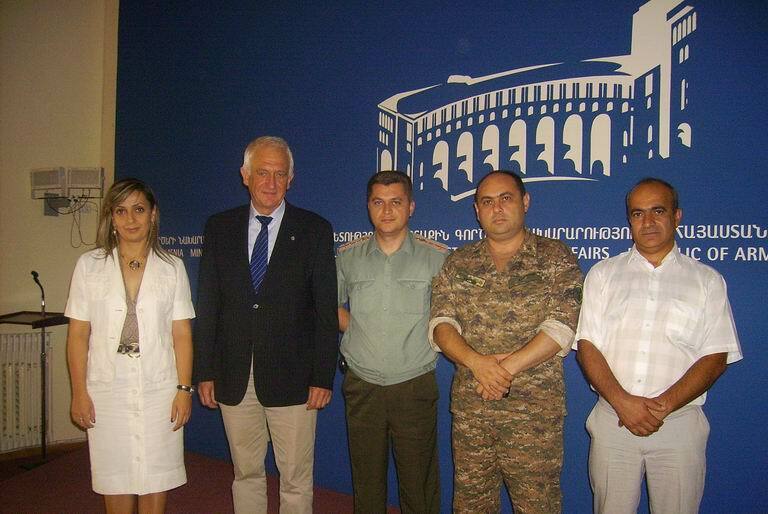 The workshop took place at the Armenian State Hydrometeorological Agency, Yerevan, 12-14 October 2016. Natasha Jurko and Alan Cantin (Canadian Forest Service) presenting the methodology for installing, maintaining and applying the Regional Fire Danger Rating System for the South Caucasus. The first working meeting of the OSCE project Improving radiological and environmental awareness in territories affected by the Chernobyl accident in Belarus and Ukraine with a focus on wildfire management, for preparation a bilateral fire emergency response exercise between Belarus and Ukraine (May 2018) was held at the OSCE Office in Ukraine, Chernihiv, Ukraine, 24 April 2018. 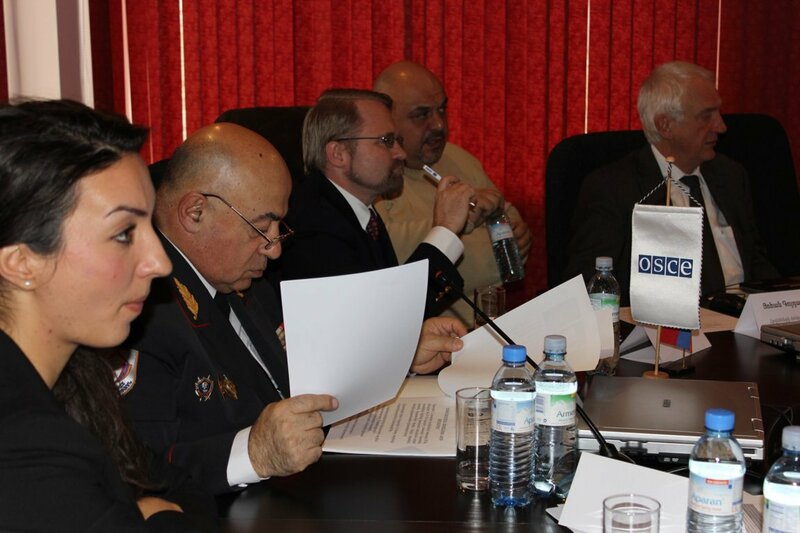 The first joint table-top exercise of Ukrainian and Belarussian agencies responsible for fire management and emergency situations was conducted in Gomel, Belarus, under the auspices and sponsorship of the OSCE. Photos courtesy OSCE / Evgeniy Maloletka. The workshop was organized by the Regional Fire Monitoring Center For SE Europe / Caucasus (RFMC) and GFMC, on behalf of the Office of the Coordinator of OSCE Economic and Environmental Activities, with the topics: (a) Review of the state and need for further development of national and regional early warning systems, fire management information systems and exchange of data and information at regional SEE level; (b) Review of national fire management systems: Current situation, policies and inter-agency cooperation; (c) Needs for future building and strengthening of volunteer firefighting services; (d) Strengthening national and cross-boundary fire management capacities for complementing and increase effectiveness of the EU Civil Protection Mechanism in the SEE neighborhood; (e) Fire management on terrain contaminated by unexploded ordnance (UXO) and land mines, and (f) Discussion on modalities for strengthening the regional co-operation on Fire Management; 17-19 December 2018, Skopje, North Macedonia. 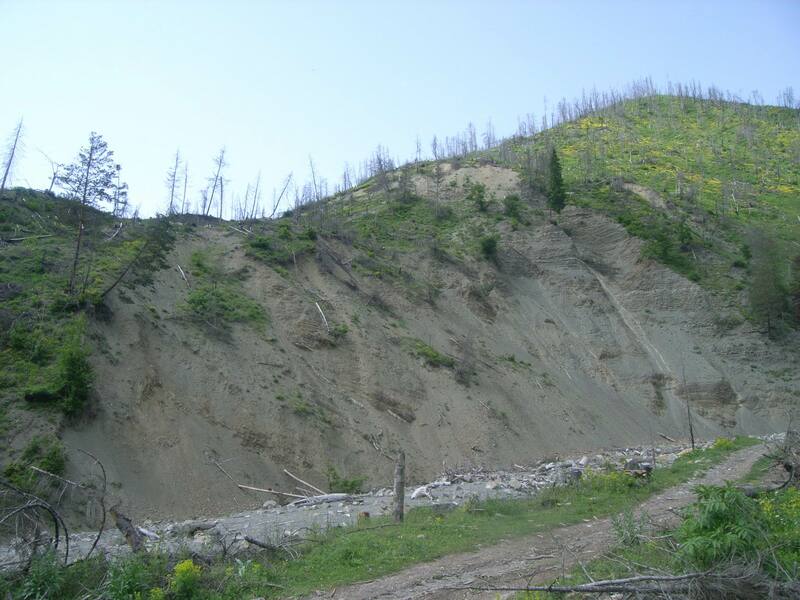 At the 2019 meeting of the Economic and Environment Committee of the Organization for Security and Cooperation in Europe (OSCE) the GFMC reported the results of activities in Landscape Fire Disaster Risk Reduction in OSCE Participating States (J.G. 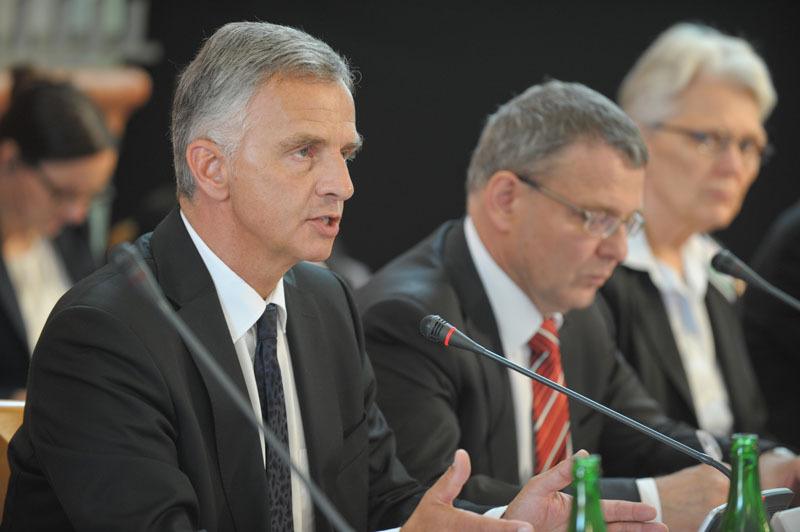 Goldammer); 18 February 2019, OSCE Secretariat, Hofburg, Vienna, Austria.